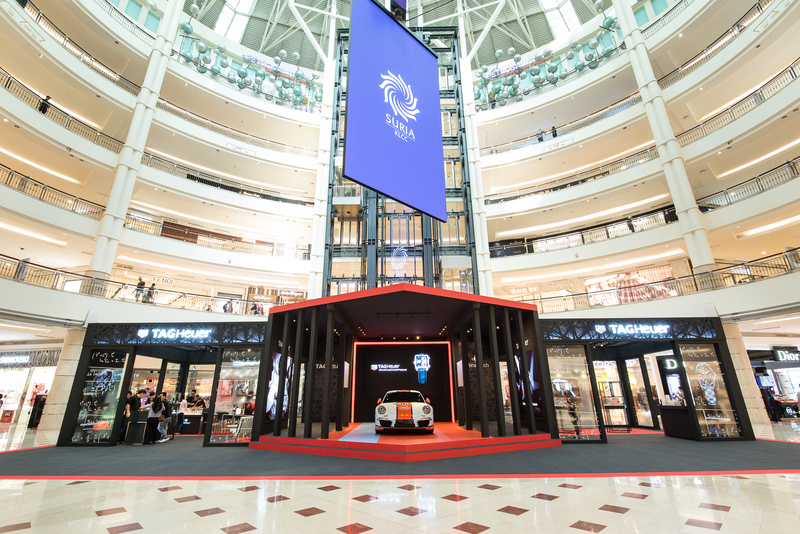 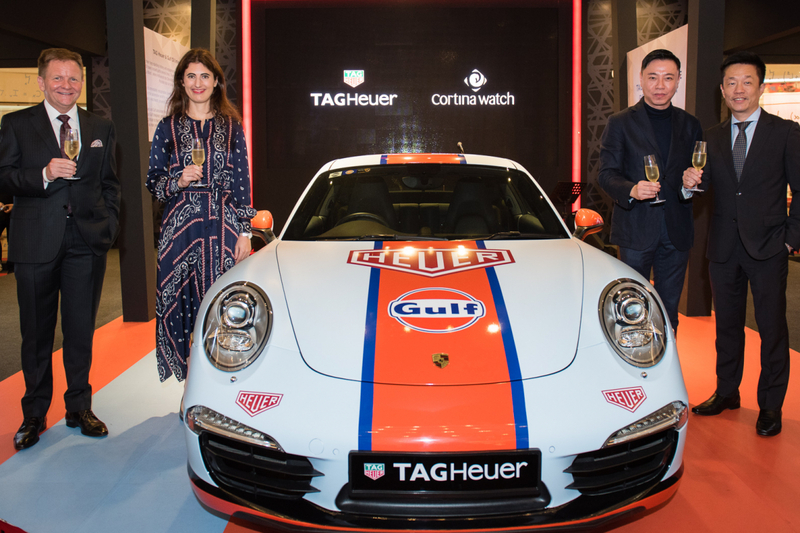 The world of motorsports has long been fertile ground for watchmakers and the same can be said for the most recent pop-up event at Suria KLCC. 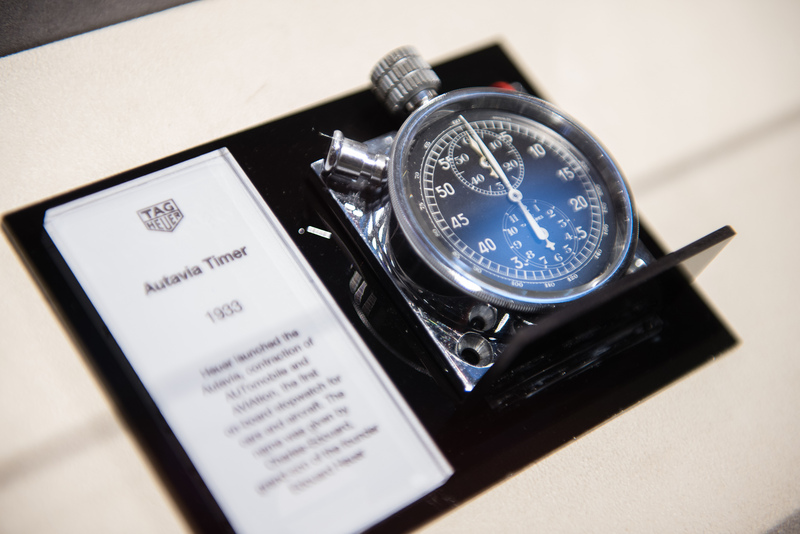 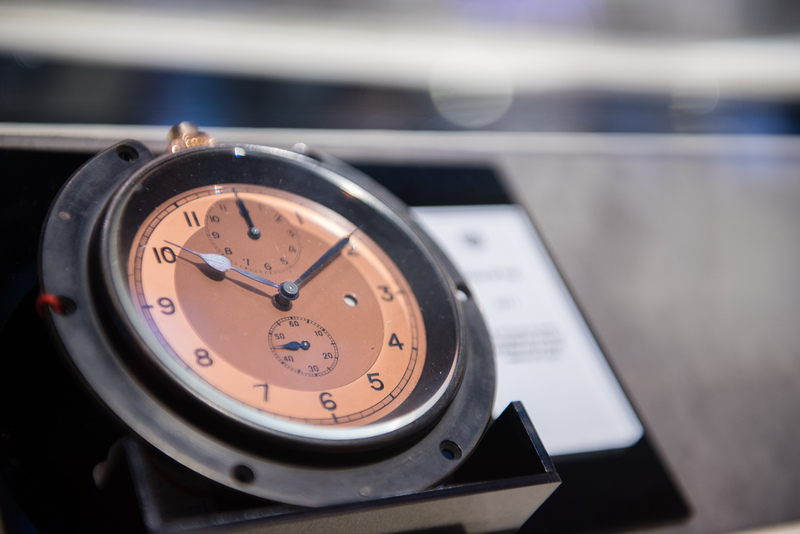 Debuting on 7 January for just one week, this collaborative exhibition between Cortina Watch and TAG Heuer was a unique opportunity for curious passersby to get acquainted with the avant-garde watchmaker’s historical achievements in the universe of haute horology and motor racing. 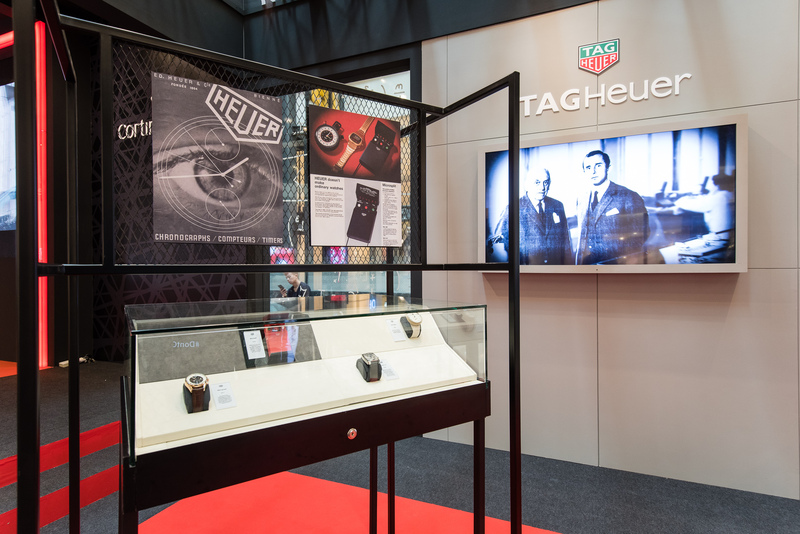 Open to consumers and watch enthusiasts alike, visitors at the exhibition had a field day familiarising with the heritage timepieces that were specially curated by TAG Heuer’s Heritage Director, Catherine Eberlé-Devaux and brought in from the brand’s private museum located in La Chaux-de-Fonds, Switzerland. 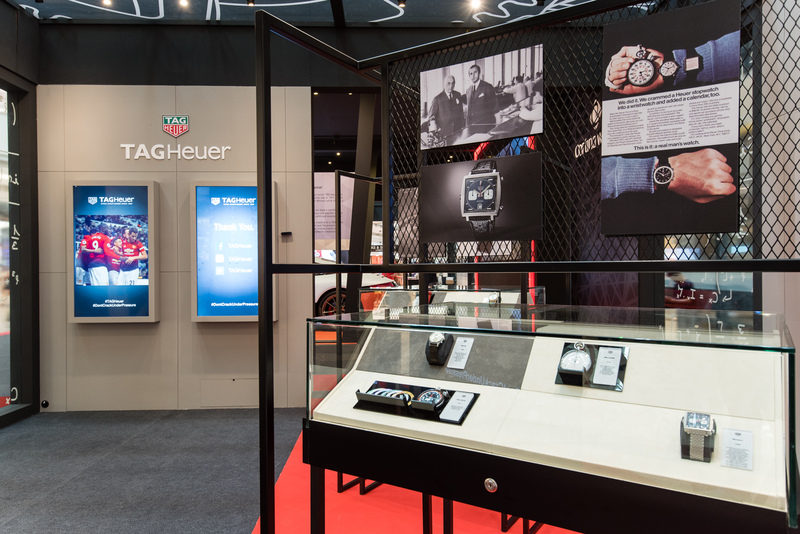 Key timepieces on display during the pop-up exhibition included the 2004 Monaco V4 named after the V-shaped plate that resembles the cylinders of a Formula 1 car engine; the 2011 Mikrograph, the world’s first stopwatch with an accuracy of 1/100 of a second; and the celebrated Monaco model worn by Steve McQueen in the 1971 legendary motor racing film, Le Mans. 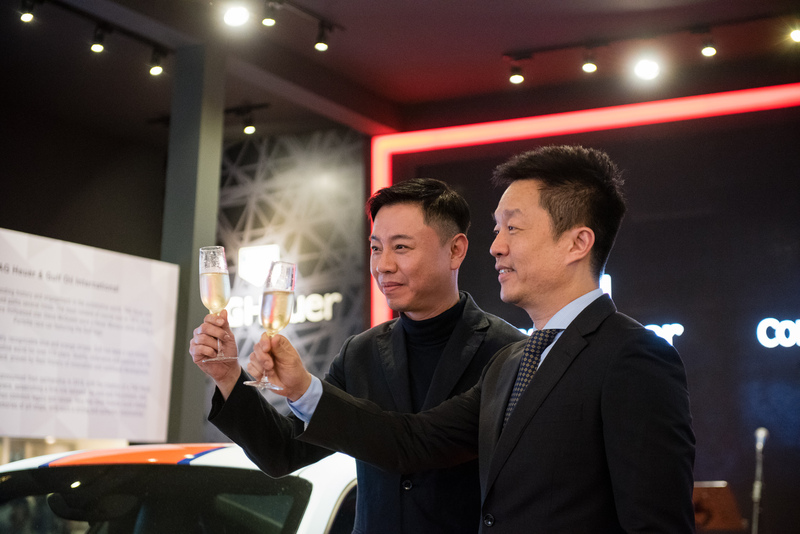 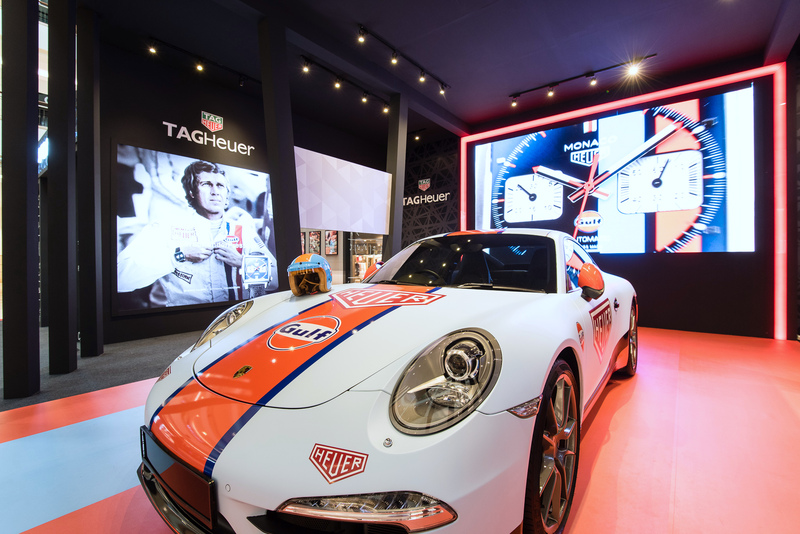 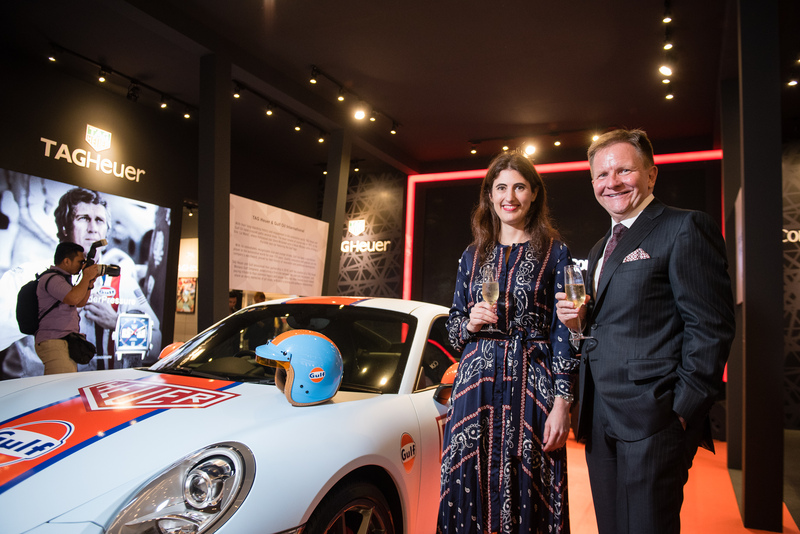 In conjunction with the motorsports theme, the exhibition also included a stunning Porsche 911 decorated in the distinctive orange and blue colours of TAG Heuer’s longstanding partner, Gulf Oil.